Solberg Achieves Underwriters’ Laboratories of Canada (ULC) Listing Certification | McWane, Inc.
We are proud to announce that the Solberg Company has achieved Underwriters’ Laboratories of Canada (ULC) Listing Certification on the company’s RE-HEALING fluorine-free and ARCTIC AFFF / AR-AFFF (ATC) foam concentrate product lines. Congratulations to the entire Solberg Team! 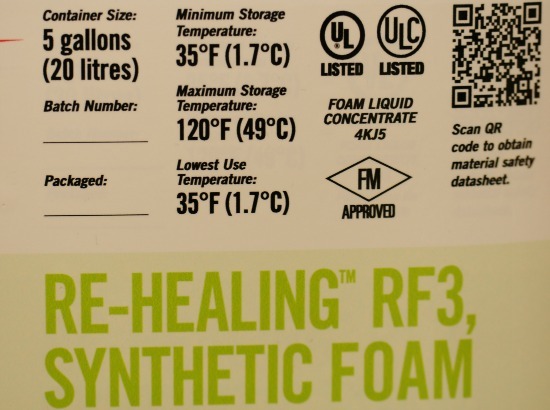 Posted on November 13, 2014, in Achievements and tagged McWane, RE-HEALING Foam, Solberg, ULC Listing Certification. Bookmark the permalink. Comments Off on Solberg Achieves Underwriters’ Laboratories of Canada (ULC) Listing Certification.